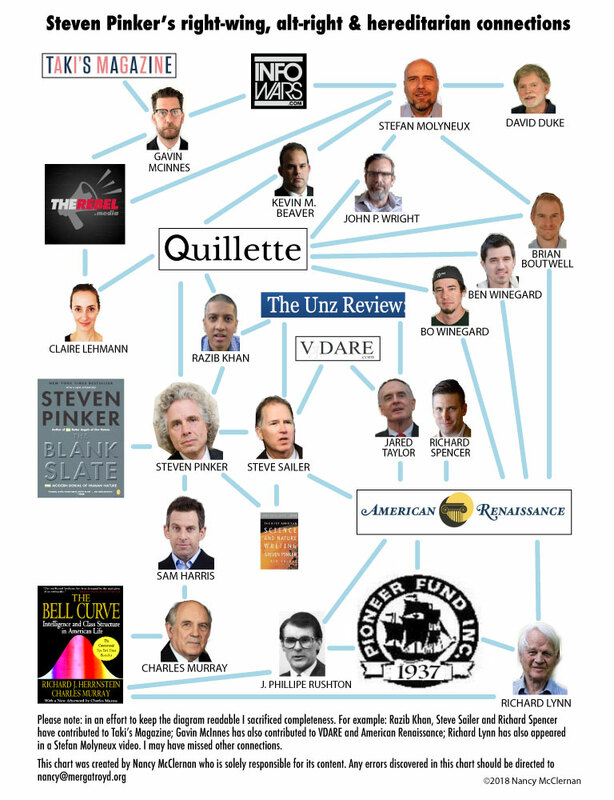 It gets into just how bad Quillette articles really are. “...I began my analysis by compiling a list of every prominent individual or political party known to have been banned from Twitter since its founding,” Hanania writes. One would expect this to be quite an undertaking since Twitter has suspended thousands of users in its decade of existence, but when you opened the supporting evidence, it was merely a list of 22 cherry-picked names. That's a good question. Maybe it's because they are political operatives rather than people who care about data science? Because they are incapable of seeing the logical disconnect, just as I speculated was a possible for reason for Steven Pinker's obtuseness? In 2017, Yale professors did a study and found they could turn conservatives into liberals by allaying fears for their safety. By giving them a thought exercise of imagining they were completely safe and protected from threats, Republicans became significantly more liberal when asked about their stances on social issues. Now we see why Shapiro and his ilk are so invested in fear mongering about the radical left with intellectual dishonesty. I referenced the same or similar study on Twitter while doing battle with Claire Lehmann's flying monkeys sent to falsely accuse the Canadian academic of creating a blacklist. You want to come up with something reasonable-sounding for why right-wingers do what they do. Concluding "because they are evil and they like to be evil" just feels so medieval.